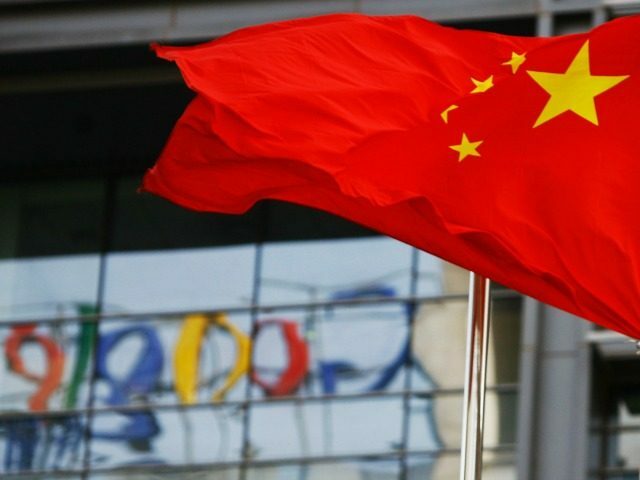 Google plans to launch a censorship-friendly search engine for the Chinese market, tailored to the demands of China’s authoritarian communist government. That is quite a contrast with Google’s reluctance to work for the U.S. military. Just a few months ago, an employee revolt at the tech giant nearly killed a vital artificial-intelligence contract with the Pentagon. The Intercept on August 1 cited internal Google documents to tell the tale of “Dragonfly,” a project launched last year and “accelerated” after a productive meeting between Google CEO Sundar Pichai and a Chinese official last December. Contrast this with the enormous controversy over Project Maven, a Pentagon program to develop artificial intelligence that can assist with drone strike targeting. Over 3,100 Google employees, including some of its senior engineers, signed a letter in April demanding the end of the project because “Google should not be in the business of war.” A number of Google employees quit their jobs to protest the contract. This plan will irreparably damage Google’s brand and its ability to compete for talent. Amid growing fears of biased and weaponized A.I., Google is already struggling to keep the public’s trust. By entering into this contract, Google will join the ranks of companies like Palantir, Raytheon, and General Dynamics. The argument that other firms, like Microsoft and Amazon, are also participating doesn’t make this any less risky for Google. Google’s unique history, its motto Don’t Be Evil, and its direct reach into the lives of billions of users set it apart. We cannot outsource the moral responsibility of our technologies to third parties. Google’s stated values make this clear: Every one of our users is trusting us. Never jeopardize that. Ever. This contract puts Google’s reputation at risk and stands in direct opposition to our core values. Building this technology to assist the U.S. government in military surveillance – and potentially lethal outcomes – is not acceptable. Evidently, playing footsie with the oppressive and murderous regime in Beijing is acceptable, if that is what it takes to give Google a crack at the huge Chinese marketplace. Google managers announced in June that the company would not renew its contract with the U.S. military. The company decided not to abandon all work for the military but published a set of guidelines for A.I. that would prevent working on anything like Maven. Those last two guidelines can apparently be disregarded if the Chinese government wants sinister surveillance tech and speech controls that violate every single principle of human rights, and the reward for compliance is access to Chinese markets. Our industry has entered a new era of ethical responsibility: the choices we make matter on a global scale. Yet most of us only learned about Project Dragonfly through news reports in early August. Dragonfly and Google’s return to China raise urgent moral and ethical issues, the substance of which we are discussing elsewhere. China sees stories like this as tributes to its “sharp power” strategy of using market access as a club against Western corporations. Beijing is increasingly bold in using its tightly-controlled markets as ideological weapons, forcing American and European companies to abandon their commitment to free expression and accept Chinese speech codes. This is a form of economic warfare China loves because it believes Western societies have little defense against it, and cannot retaliate in kind. There is little the U.S. government could do that would compensate a corporation for suffering a politically-motivated ban from Chinese markets. There is zero chance any Western government would use command economics to force Chinese business interests to obey their ideals. Does anyone want to gamble that China cannot use sharp power to make companies like Google quietly abandon their principles against weaponized A.I. and assist Chinese military projects? Even if it never comes to that, the race for A.I. is red hot, and the United States is not in the lead. Western corporations striking “principled” poses against doing A.I. work for the Pentagon are only helping the most aggressive and amoral power in the world build up its lead. Chinese engineers will appropriate and weaponize Western tech as needed, and they are designing plenty of cutting-edge systems on their own. Project Maven used A.I. to help the U.S. military track vehicles and equipment, not individual people; the goal was to help monitor and target terrorists more accurately, which would reduce civilian casualties. China is already using A.I. systems to monitor the populations of entire cities. The next generation of artificial intelligence will be the cyber equivalent of the atomic bomb, a weapon with enormous first-strike potential, a revolutionary impact on battlefield tactics, and stunning implications for economic development. The good guys must develop that technology first. Refusing to help America win the race will objectively help China win, and then all that lofty talk of “doing no harm” and “helping information to be free” will become just another cluster of meaningless words easily censored by the authoritarian masters of the 21st Century.